Ned being addressed by King Robert in the crypts of Winterfell, where Robert announces what Ned had suspected: he wants Eddard to be his Hand, following the death of their mutual mentor, Lord Arryn. 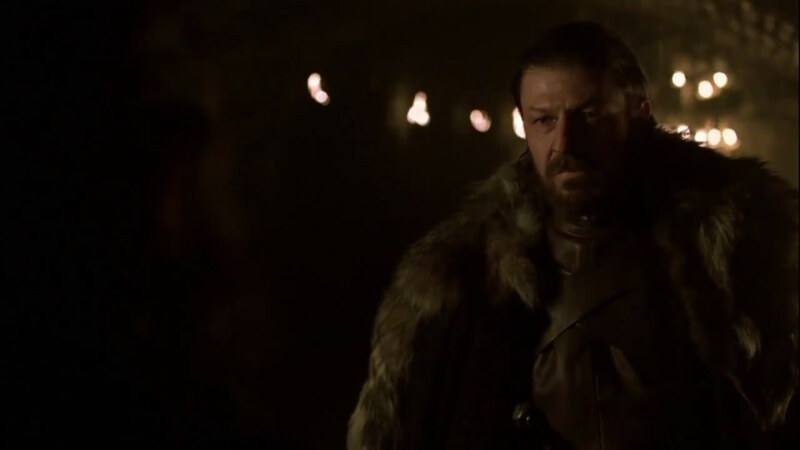 Eddard’s look here is terrific, we think. We wish we could have caught a glimpse of the tombs, but all in good time.